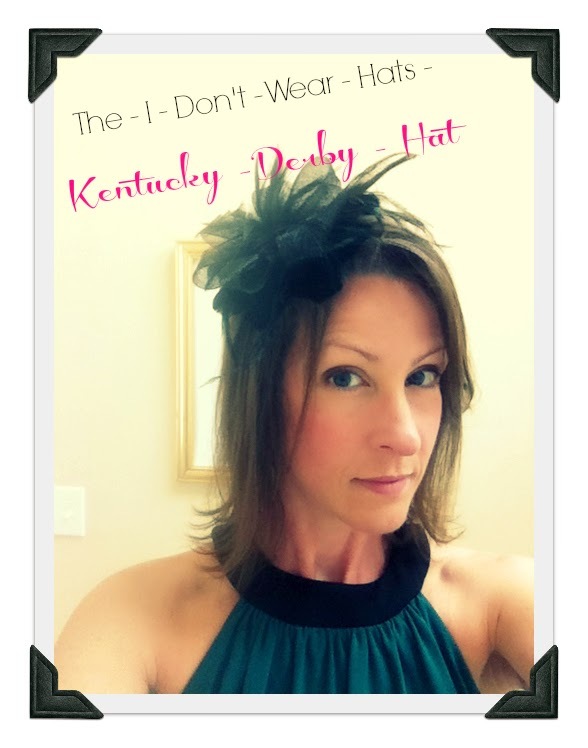 I searched high and low to find a hat to wear to a Kentucky Derby Gala (to benefit Emmaus Community of Pittsburgh, a great organization that provides residential homes for persons with disabilities). After trying on more than a dozen different styles of hats, I realized I was never going to feel comfortable in anything large or "hat-like" that day. I wandered into Claire's looking for some sort of hairpiece that might pass for a hat. 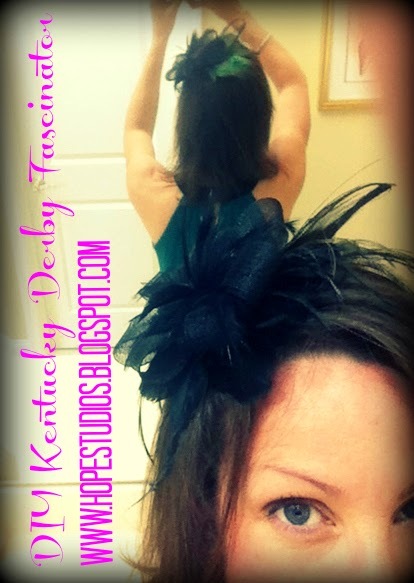 I ended up with $17 worth of hair clips as supplies to create my own "fascinator". 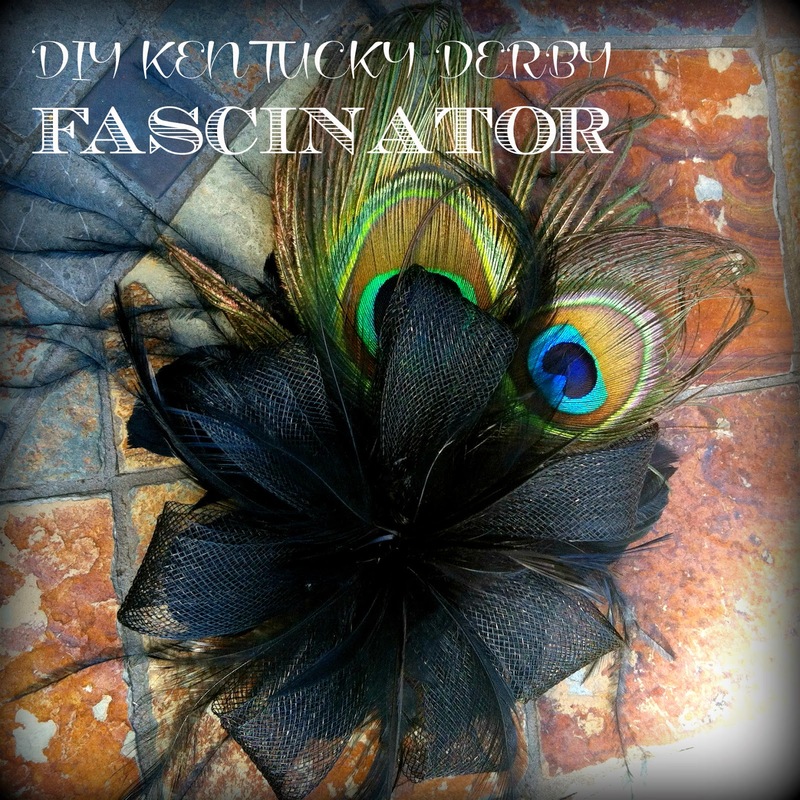 I decided I was going to create a "fascinator" that would match my dress since I had gone about things backward and chosen a dress before the hat...gasp! 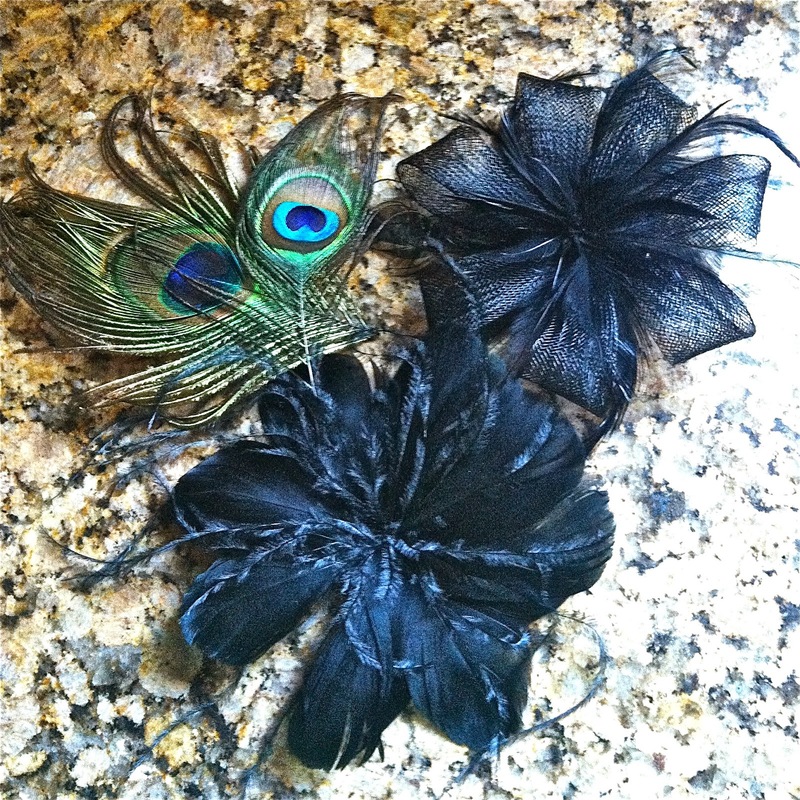 I added 2 peacock feathers I already had at home to pick up the green in my dress and sandwiched them between the two hair clips then clipped the top clip to the bottom clip - It didn't even require glue so I can dissemble and use them again for another project or add different feathers to match another dress! Just happened upon this! Your hat looks fantastic, and thanks for the shout out to Emmaus! We hope you had as much fun at the event as we did!